According to Collider, Girls’ Trip star Tiffany Haddish is currently in talks to star as one of the female leads in director Rodney Rothman’s upcoming female-driven 21 Jump Street reboot for Sony. It was also revealed that Haddish might portray the role of an undercover cop disguising herself as a teacher instead of being a student unlike the previous films/original series. In addition to Haddish, Crazy Rich Asians‘ Awkwafina is reportedly also being considered for one of the reboot’s leads. The 2012 blockbuster film 21 Jump Street was an adaptation of Johnny Depp’s series of the same name. 21 Jump Street starred Channing Tatum and Jonah Hill, who both portrayed as police officers that went undercover as high school students in order to investigate the outbreak of a new synthetic drug. 22 Jump Street‘s writer Rodney Rothman will be writing and directing the film with Phil Lord and Chris Miller set to return as producers. Previous writers on the planned female driven 21 Jump Street spinoff include Lizzie and Wendy Molyneux of Bob’s Burgers fame along with the previously-announced Lucia Aniello and Paul Downs (Broad City). 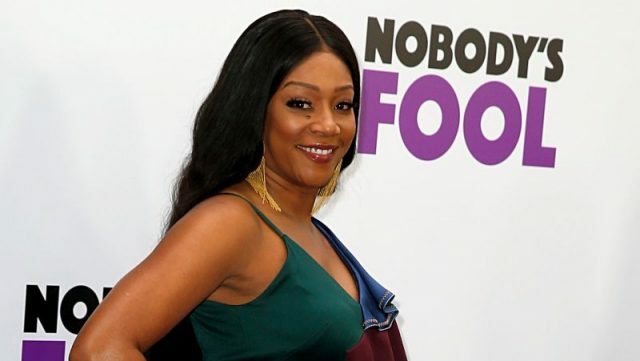 Haddish is best known for her breakout role as Dina in the 2017 comedy film Girls’ Trip starring alongside Queen Latifah, Jada Pinkett-Smith and Regina Hall. She recently starred in other comedy films such as: Night School opposite Kevin Hart; Ike Barinholtz’s The Oath; and in Tyler Perry’s romantic comedy Nobody’s Fool. Haddish will next be seen in the upcoming American crime drama The Kitchen along with Elisabeth Moss and Melissa McCarthy.